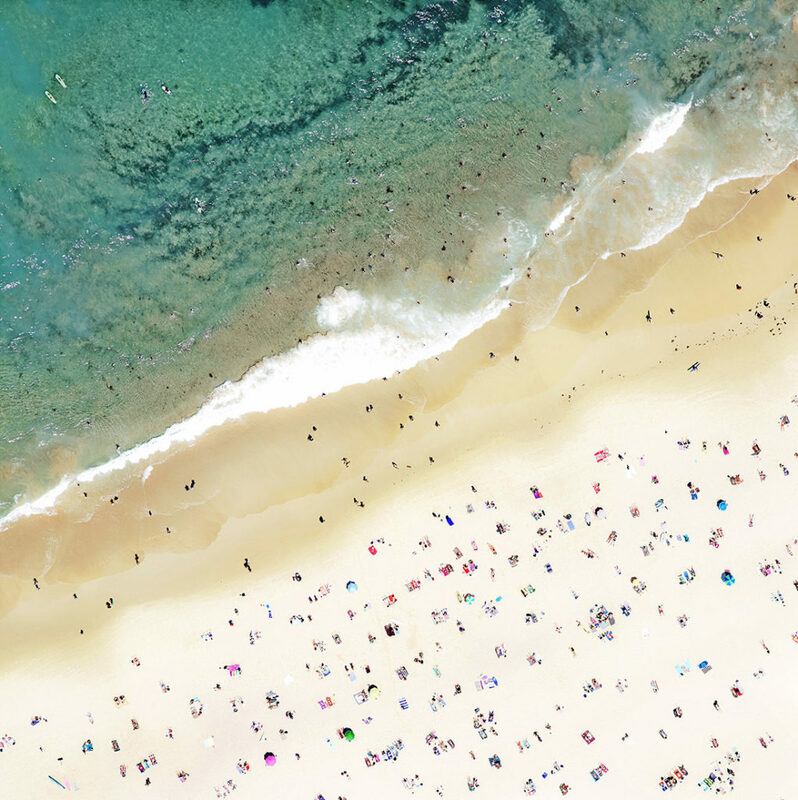 In the tradition of photographers like Thomas Struth and Andreas Gursky, Jensen-Nagle’s images reveal arresting visual patterns in the everyday world and create dramatic shifts in perspective that show humans completely enveloped by their environment. 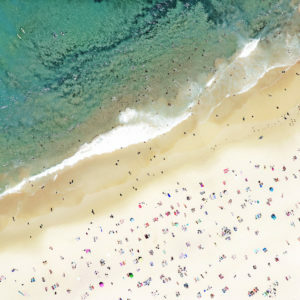 Viewing photography as a “means to evoke emotion, rather than to document a reality,” he has spent a decade traveling the globe in search of beachscapes dotted with bathers to turn into compelling images, often hanging out of helicopters to capture his bird’s-eye views. Over the last dozen years, Jensen-Nagle has mounted over fifty exhibitions across North America, including at the Griffin Museum in Boston and the Glenbow Museum in Calgary. He has placed his photographs in numerous private and corporate collections, including Microsoft, Cirque De Soleil, Transcontinental, Target and Hilton Hotels, and has seen his work featured in a variety of publications, including Art In America, Canadian Art, Fashion,and Harper’s. Jensen-Nagle is based in Toronto, where he is represented by Bau-Xi Gallery.